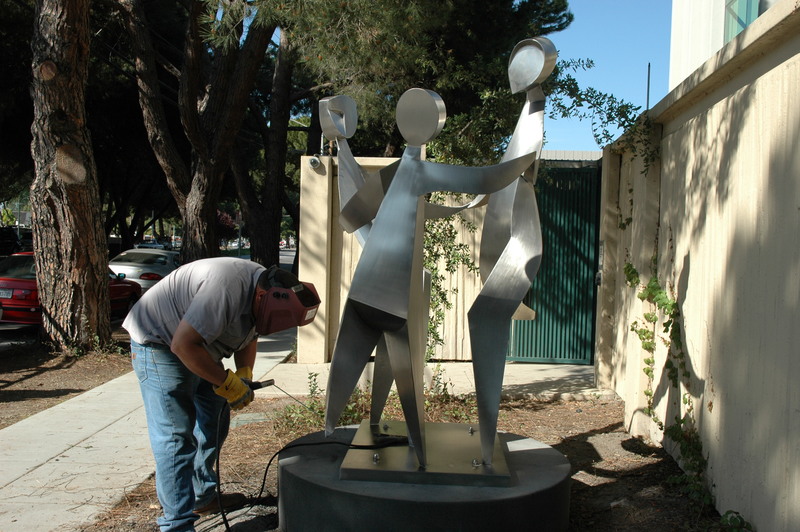 Here are some photos of the Work-in-Process for the commissioned sculpture, Celebration, that Gardner created for the Gideon Hausner Jewish Day School in Palo Alto. 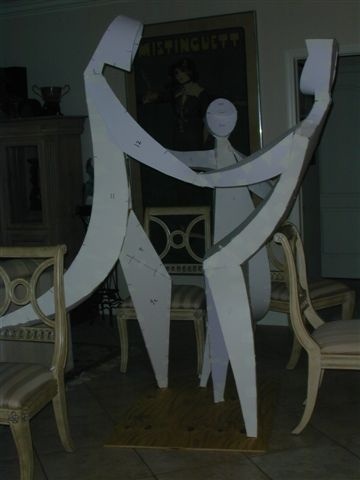 Gardner created a cardboard mock-up of the initial concept for the piece. This model was sized at 1/3 scale of the full-size final piece. Once the 1/3 scale model was approved, Gardner built a full-scale model of Celebration in cardboard. 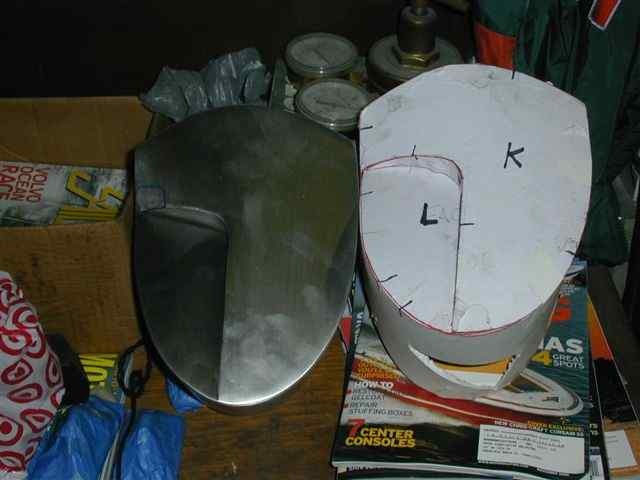 This enabled him to begin to hone the full-sized balance and fabrication issues. 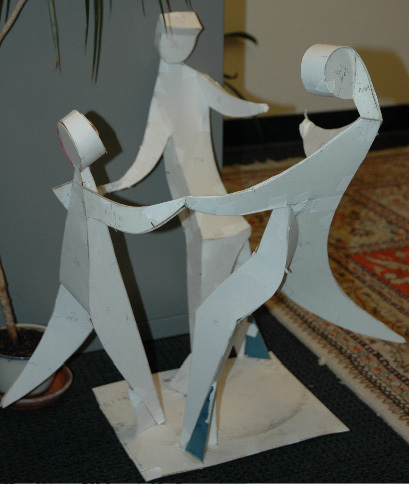 The following images shows the full-scale model in the artist's dining room. 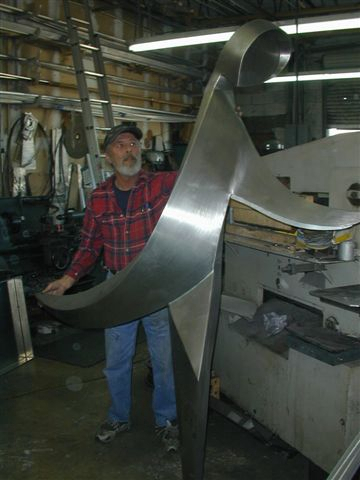 After the school approved the full-scale model, fabrication of the pieces in stainless steel was commenced. 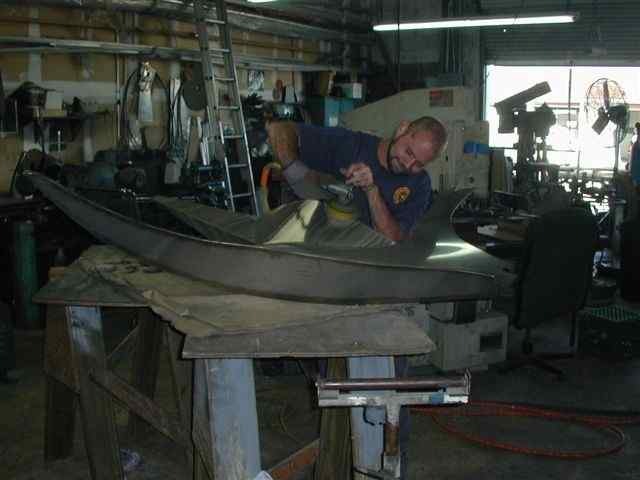 Gardner uses a foundry located near him because stainless steel is extremely hard material to shape. 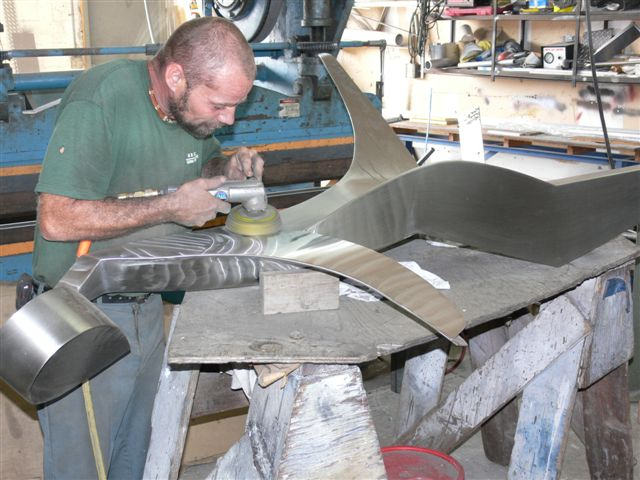 Gardner oversaw the fabrication of the individual pieces and the polishing process. 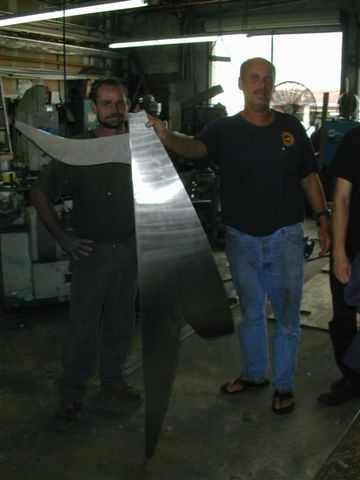 All of the separately constructed pieces are joined and polished. 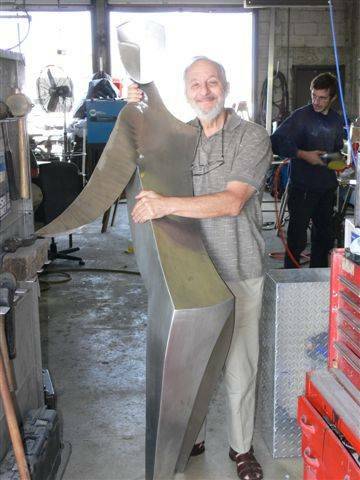 The sculpture was set on a base and shipped to its destination in Palo Alto, California. 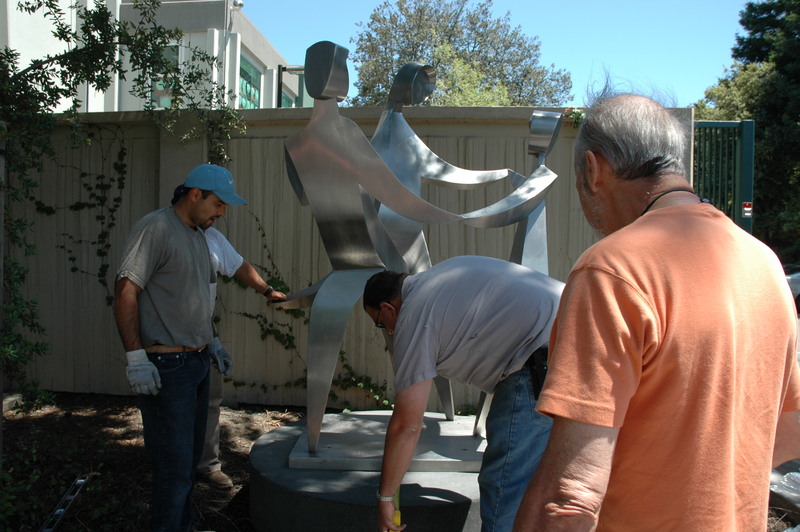 Here Norman Gardner oversees the installation of the finished sculpture at the school. 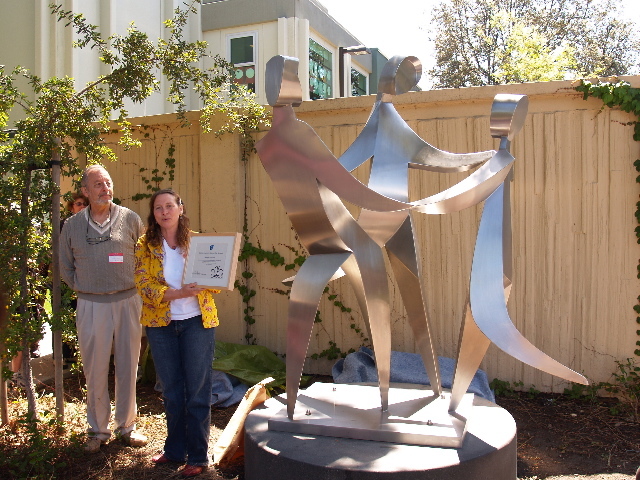 There was an unveiling of the sculpture on Grandparents' Day. 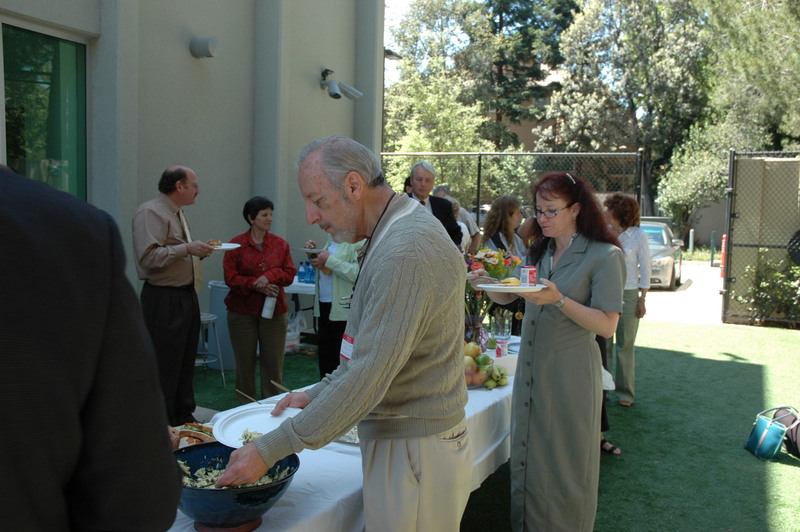 And a reception for the sculptor and other grandparents hosted by the Gardner family. Gardner was presented with a certificate of appreciation from the school. 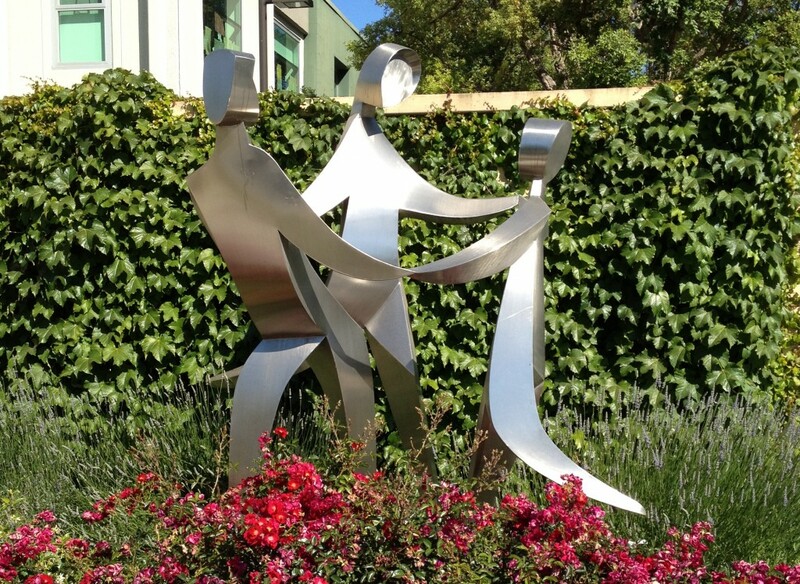 Celebration is now viewable outside the entrance of the Hausner School in Palo Alto, at 450 San Antonio Road, near Middlefield Road.